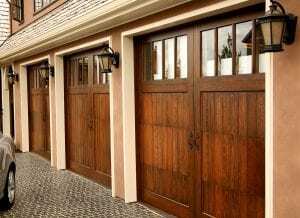 If you’re looking for a garage door company that can expertly install a new door onto the garage of your Concord, North Carolina, home, turn to 31-W Insulation. We proudly offer and install top-of-the-line garage doors made by Amarr®, a highly respected name in the industry. These doors are designed with some of the best safety features available, including finger pinch protection, and they are made from steel and other heavy-duty materials for superior durability. Plus, you can personalize your door with your choice from a variety of designs, colors, decorative hardware sets, and window options, and there are insulated doors available to help you keep your garage at a comfortable temperature without wasting energy. We do much more than garage door installations, as well. Among the many other products we also offer and install are bathroom accessories and mirrors, attic insulation, and gutters. If you’re interested in learning more about our services as the premier garage door company serving Concord, NC, and beyond, contact 31-W Insulation today.